Good habits keeps our health in the long run, the key is perseverance, today my life perserving suggestion concernes a water drinking habit, that is, you'd better drink a cup of water every morning when you wake up, cause it's extremely crucial for your body health. It supplements water for you body. 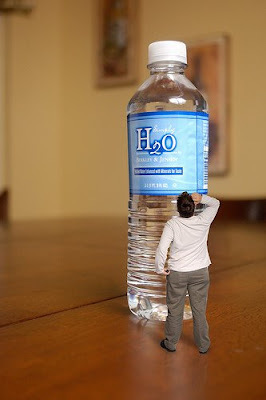 You body really lost a lot of water during the long night through metabolism. It prevents constipation feeling, since the first water wash your empty stomach and relieve the harm to it, to keep it the perfect shap and function for a brand new day. The first cup of water is also good for the braind refreshment, it's said that the first water would do something to the blood, promotesblood circulation, to give you a refleshed brain. Besides; for the women, you need to cultivate this habit since it really can do emination of toxicant stuff and good for face care. All you should remember is that the first cup of water needed to be taken when you are are with empty stomach, and taken slowly, because speedy drinking may do harm, may cause vomit. Then you gotta take notice that the water should be warm not hot or cold to relieve the stimulate to the stomach.